Every parent feels like on occasion they have uttered the phrase, “Why is your backpack so heavy? Although backpacks with wheels are now widely available, children still must carry their fair share of weight on their backs. This is causing a significant number of young children to develop neck and back problems. It is important to look at your child’s posture when they wear their backpack. This can help you determine if there are problems with weight or weight distribution. 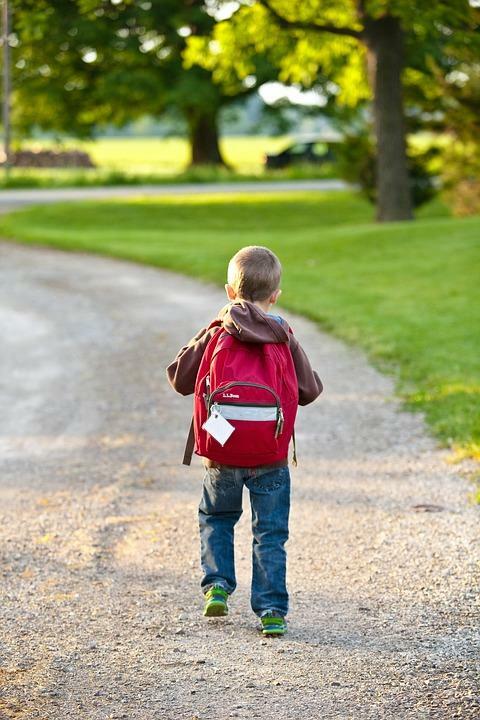 A child should be able to stand up straight without the weight of the backpack impacting their posture. Excessive weight on the back of young children not only causes poor posture but can also cause spinal deformities. When your child starts complaining about constant backache, it is time to take it seriously. The American Occupational Therapy Association (AOTA) and the American Physical Therapy Association (APTA) recommend the weight of a child’s backpack is not more than 10% of their body weight. This means if your 7-year-old weighs 50 pounds, their backpack should only weigh about 5 pounds. Surveys show that 96% of parents in central Texas elementary schools had no idea how much their child’s backpack weighs. A study was undertaken to measure the lumbar spine response of heavy backpacks on the spine of healthy children. The resulting MRIs indicated that increasing backpack loads signiﬁcantly compressed lumbar disc heights. It also showed an increase in pain felt by children as the weight of the backpacks increased. Children don’t always wear their backpacks correctly. A child often throws the pack over one shoulder when he or she is in a rush, which can aggravate the problem. This may cause them to lean to one side, engaging the muscles asymmetrically and throwing their bodies out of alignment. When kids wear a heavy backpack, they often lean forward to balance themselves. This places even more pressure on their spine and can cause a subluxation, the displacement of bones in the spine that can damage the spinal cord. Wearing a heavy backpack can make children more predisposed to spinal degeneration. Most school backpacks are designed with a strap that fastens around the waist, which helps spread the weight to the hips and removes some pressure off the shoulders and spine. An adult backpack is bigger, and is constructed in a way that the smaller stature of a child cannot accommodate. Improper posture places increased stress and pressure on the joints of the spine as well as the discs between spinal vertebrae. This repeated injury irritates the nerves, leading to neck and back pain, as well as headaches. The long-term risk of improperly carrying a backpack is the altered posture may become more permanent. Wearing a heavy backpack as a child increases the likelihood the forward posture will continue in adulthood leading to chronic pain. Show your child how to wear their backpack correctly and insist they not overload it unnecessarily. Consider investing in a second set of books for some subjects, so your child does not need to carry them back and forth every day. Parents should educate themselves on proper ergonomic backpack design and use. Early intervention and chiropractic care can prevent the discomfort from worsening. If your child suffers from any issues, early diagnosis is critical to avoid further damage. Take them to a chiropractor so he or she can properly evaluate their condition. A chiropractor assesses your child by checking for proper movement, function, and alignment of the spine. At SpinePlus we use state-of-the-art imagery to help develop a care plan for targeted adjustments to relieve stress on critical spinal nerves while alleviating pain and postural problems. We can also prescribe exercises designed to help your child develop stronger muscles and better posture. If your child suffers from any of these symptoms, contact us today and set up an appointment.